The story of the life of Rigoberta Menchú, an indigenous rights activist, began in a poor El Quiché peasant family in Guatemala. like many other countries in the Americas, Guatemala has experienced great tension between the descendants of European immigrants and the native Indian population. The Menchú family experienced extreme hardship as a result of their Mayan background. In the 1970s and 1980s, Guatemala’s repressive military dictatorship began a large-scale repression of Indian peoples. Before she was 21, Rigoberta’s mother, father and brother were brutally tortured and murdered by the Guatemalan army. Rigoberta confronted the oppression faced by her family and her peoples by actively protesting labor and human rights abuses. In 1981 she was forced to seek exile in Mexico, where she became an eloquent defender of the rights and values of indigenous peoples and other victims of government oppression. On several occasions, Rigoberta returned to her home country to plead the cause of the Indian peasants, but death threats forced her back into exile. In 1983, Rigoberta’s testimonial book I, Rigoberta Menchú, catapulted the plight of indigenous people in Guatemala into global headlines. Menchú became an international figure in the world of indigenous rights, spending her time organizing protests and conferences. She received the Nobel Peace Prize in 1992, “in recognition of her work for social justice and ethno-cultural relations based on respect for the rights of indigenous peoples.” Since then, Menchú has not rested on her laurels: She was a founding member of the Nobel Women’s Initiative in 2006 and has run for Guatemalan president twice. In 2007, Rigoberta ran for Presidency of Guatemala with Encuentropor Guatemala in 2007. 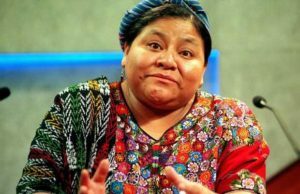 Subsequently, Rigoberta made important contributions in spearheading the first indigenous party in Guatemala, and garnering enough votes to make her WINAQ party official, and ran again for President with this party in 2011. Despite the fact that she was not elected, she remains a steadfast presence in Guatemalan politics and the struggle to end impunity. From 1994 to 2003, Rigoberta served as the official spokesperson for the United Nations International Decade of Indigenous Peoples. She has held the position of Good Will Ambassador for the Peace Accords in Guatemala since 2004. Rigoberta is also president of the company Saludpara Todos (“Health for All”), which aims to offer affordable generic medicines to indigenous people in Guatemala. Dilma Rousseff is a woman with many political lives, having survived most of political plots to unseat her, amidst her avowed fight to end poverty in Brazil, sailing smoothly to her reelection. However, recent events have shown that she is seriously running out of political favor especially from the political class. Only recently, she shook up her cabinet in a bid to save her job and break a political logjam that’s paralyzing Latin America’s largest economy. While keeping to the tradition of bridging the gap of income inequality, encouraging female nurses through quarterly provision of jobs, tourism remains her endearing legacy. She has remained focused on delivering her electoral mandate to help reduce poverty, even in the midst of stiff opposition. Dilma Rousseff, the first woman to be elected president of Brazil, has had her share of career ups and downs. She first came to prominence as the protégé of Luiz Inacio Lula da Silva, Brazil’s beloved former president who is better known as Lula. Upon becoming President, she embarked on social welfare reforms that have lifted millions out of poverty. 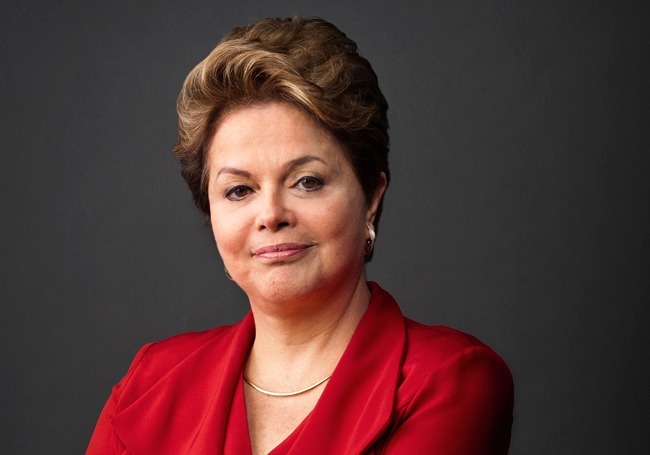 Nicknamed “Iron Lady”, Ms Rousseff’s earned for herself a formidable reputation, after sacking several ministers over corruption allegations and has prided herself on her administration’s record of investigating corruption claims. Ms Rousseff’s commitment to social inclusion and her championing of Bolsa Familia, a social welfare scheme has benefited 36 million Brazilians and continues to draw accolades internationally.